Northwest National Real Estate: Sale Pending! Hanson Ranch! Home for sale near Red Lodge, Montana. 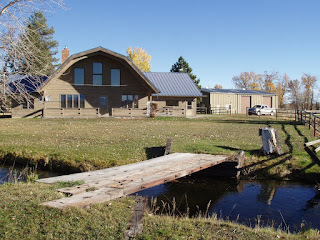 Great location 1 mile off of Highway 212 with 2754 sq. ft. home, 50x75 shop that is insulated and heated and a 32x32 horse barn. All on 115+/- acres with approx. 90 acres irrigated. Approx. 1/2 mile of Dry Creek running through front yard with outstanding views of the Red Lodge Ski area and Beartooth Mountain Range. Yellowstone Park and thousands of acres of National Forest and Wilderness are close by for your riding pleasure! Priced at $880,000. Call Dan at 406-446-3232 for more information.